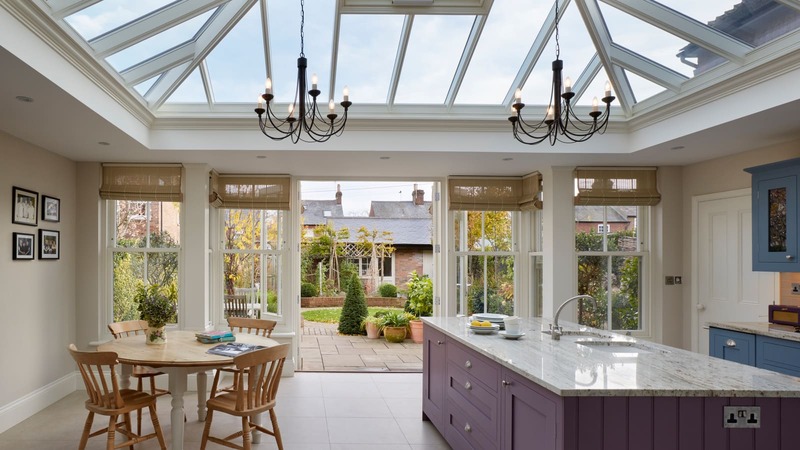 This exceptional orangery has completely transformed an originally tired and dated country property into an elegant family home. 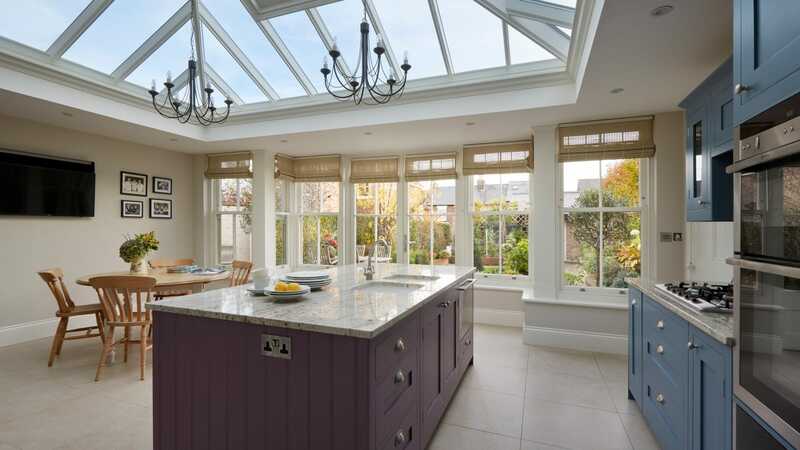 Expertly crafted to the highest of standards, the new timber orangery creates a light and calming space ideal for cooking, dining and relaxing. Set within a conservation area, the property has a south-facing rear overlooking a rural village green. 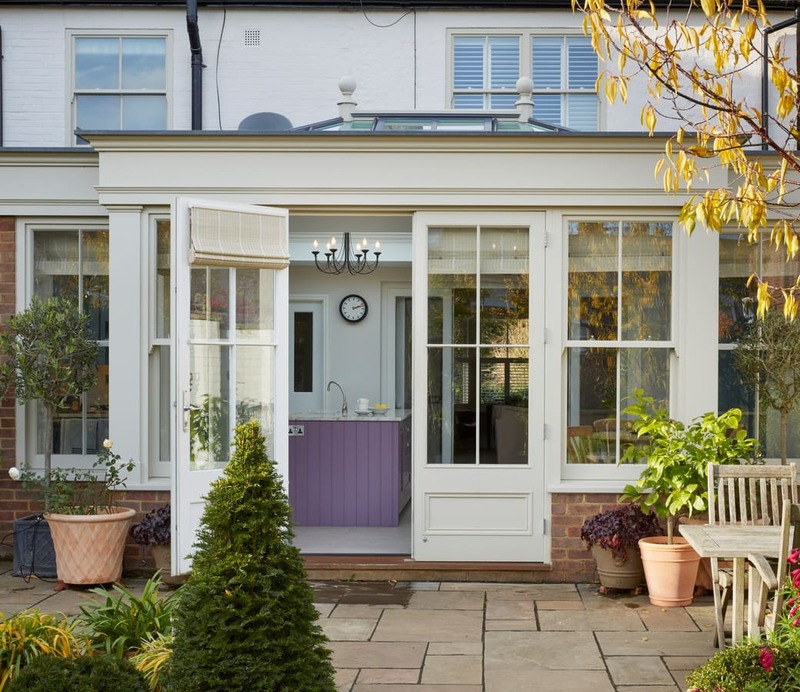 Originally the building featured a boxy flat roof extension with a small utility room and kitchen, along with an uninspiring lean-to conservatory which was used occasionally as a separate breakfast room. 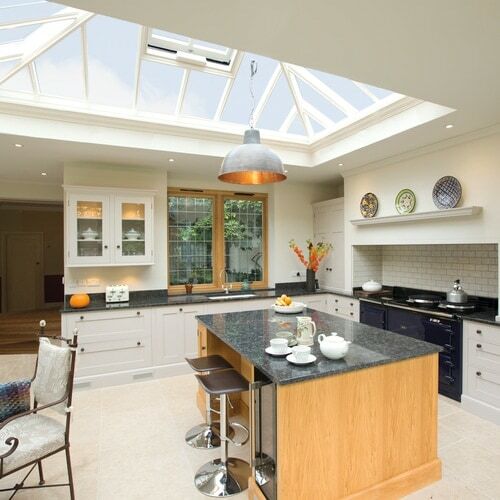 Having just downsized from a larger property, the client wanted to completely renovate their new house with an open-plan kitchen extension in addition to a loft conversion, landscaped garden and new patio area. 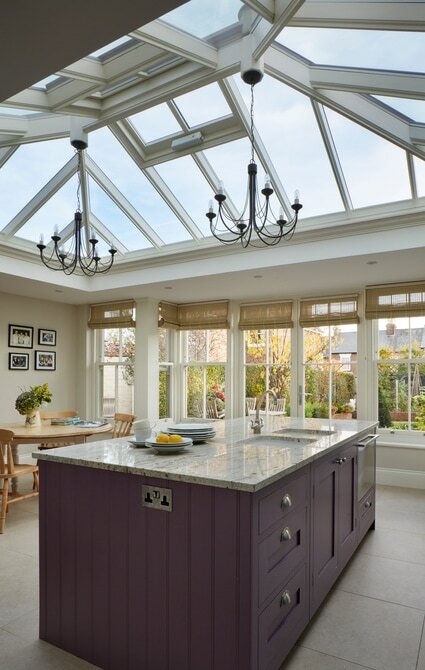 As the back of the house is used as the main entrance, it was imperative that the new orangery would have a sense of grandeur and make a superb first impression to guests and visitors. 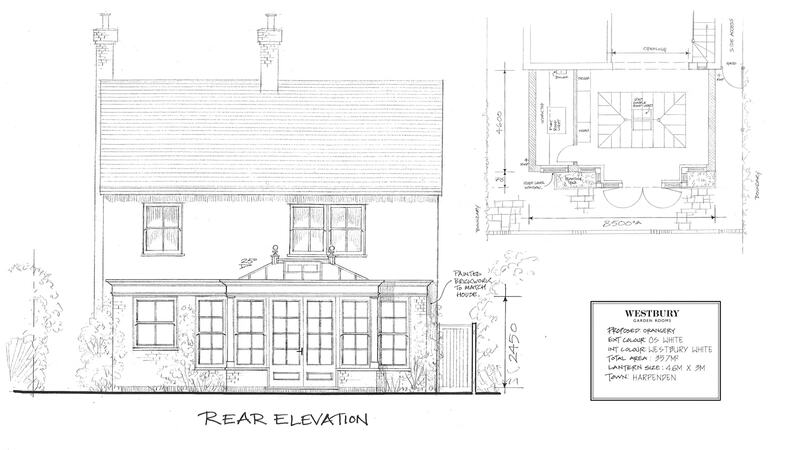 As the property was located within a conservation area, we used our expert knowledge to submit a carefully considered architectural plan to obtain planning permission for the new extension. 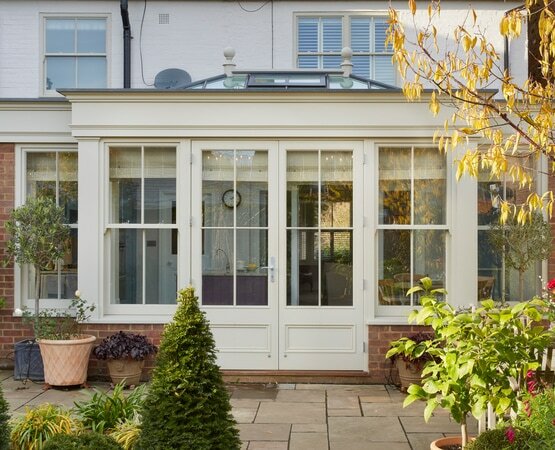 The building has a quaint charm so it was vital that the new orangery was balanced and in proportion to the existing style. 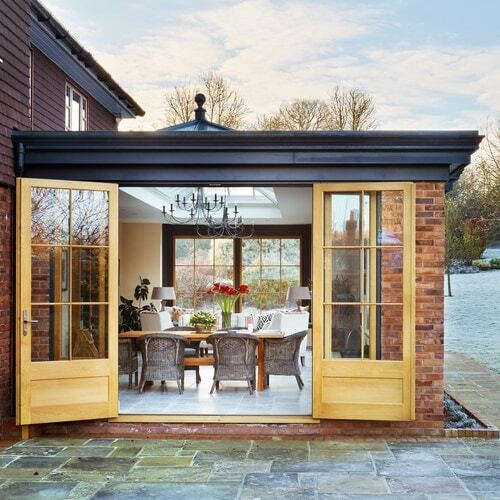 Perfectly tailored to the clients needs, the new extension creates a spacious open-plan kitchen and dining area where the family can fully enjoy the views of their beautiful garden. The structure perfectly blends in with the rest of the property and provides a space for the homeowners to cook and entertain guests all year round. 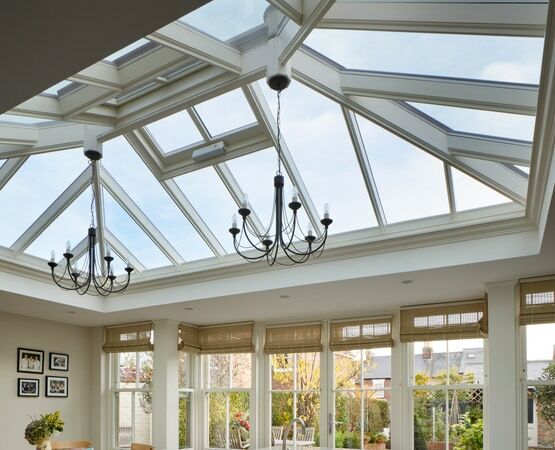 Crafted using the most innovative techniques, an elegant roof lantern fills the room below with natural light, giving a bright and opulent feel to the interior. A functional utility room leads off from the side, situated just steps away from the kitchen and allowing for easy access. 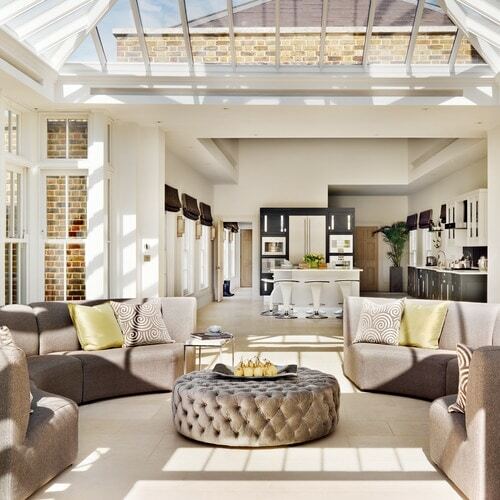 To keep things feeling cosy in colder weather, underfloor heating warms the living areas. A parapet fascia design with sliding sash windows perfectly complements the feel of the house. 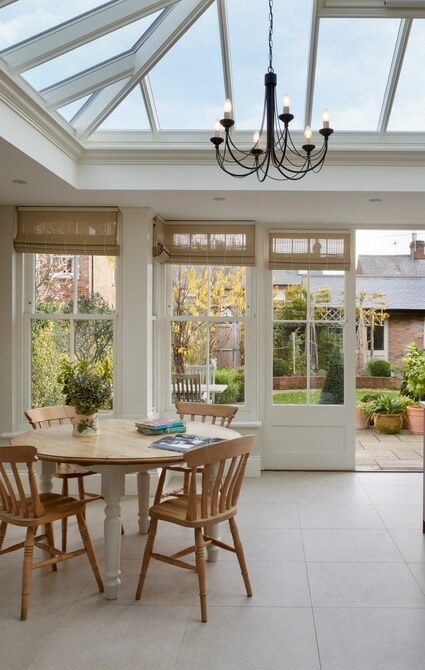 In order to accommodate for such a large, multi-functional space we created a new structural opening which extends the home out into the new orangery, creating flow through the different rooms. 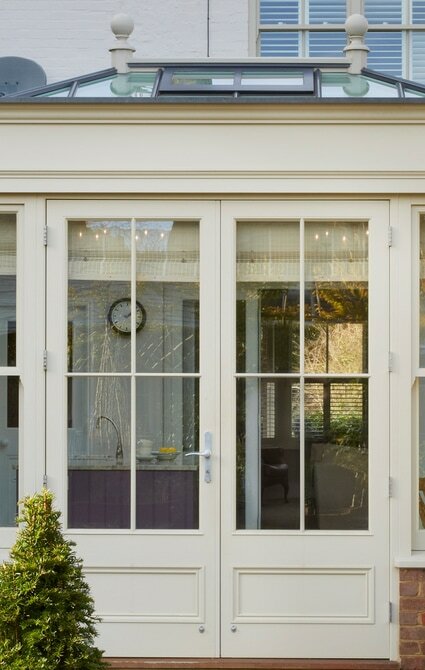 Beautiful double French Doors can be opened out to the new patio, helping to seamlessly connect the inside and outside spaces. 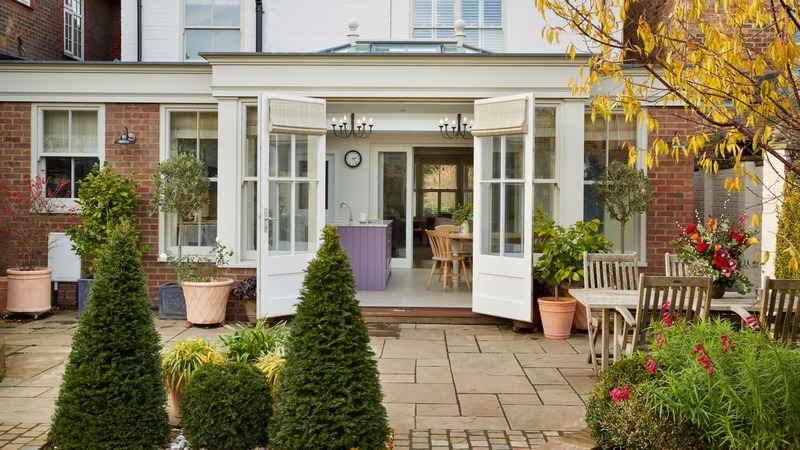 The orangery has a dual colour scheme, with internal joinery painted in a fresh Westbury White and the outside painted in OS White, a more neutral shade which helps the structure nestle in with its natural surroundings.